Google is not only the largest search directory but also the world’s biggest repository of customer opinion, which keeps growing every day. According to the study by BrightLocal, the search engine is acquiring reviews at the incredible rate – in 2016 alone the number of reviews at Google has jumped by 278%, becoming not only the biggest but also the fastest-growing review platform on the web. That opens incredible opportunities for software vendors that work in such fields as sentiment analysis, local SEO and reputation management. Last week we rolled out the Reviews API endpoint, a new feature of our popular SERP API. As the name suggests, it can help you collect customer feedback at Google. However, you may find yourself wondering how to utilize it in the most effective way, or if it’s any different from other widely available solutions. In this blog post, we will provide answers to these and other questions, while also walking you through all the opportunities that Reviews API can create for your business. Google Reviews are customer testimonials that appear at your Google My Business profile. Thus, you have to claim and verify your Google My Business profile in order to receive them. When users search for a local establishment that has a verified Google My Business profile, they are often shown an Knowledge Graph feature on the right side of a search results page. Apart from the local establishment’s name, Knowledge Graphs can also provide pictures, work hours, phone numbers, a map, directions, reviews, and so on. Although all the information included in the Knowledge Graph is equally important to customers (and, therefore, for businesses too), reviews are particularly crucial. With 85% of people trusting online reviews as much as personal recommendations, it’s hard to overestimate their practical value. So, like it or not, getting positive reviews is a cornerstone of any local business. Now, it’s all the more essential that you start automating the process of collecting and analyzing customer feedback across Google, which is exactly the issue that Reviews API from DataForSEO is designed to help you with. Since Reviews API is the stand-alone endpoint withing SERP API, its configuration is nearly identical to other SERP API endpoints. However, there are a few peculiarities that should be clarified. 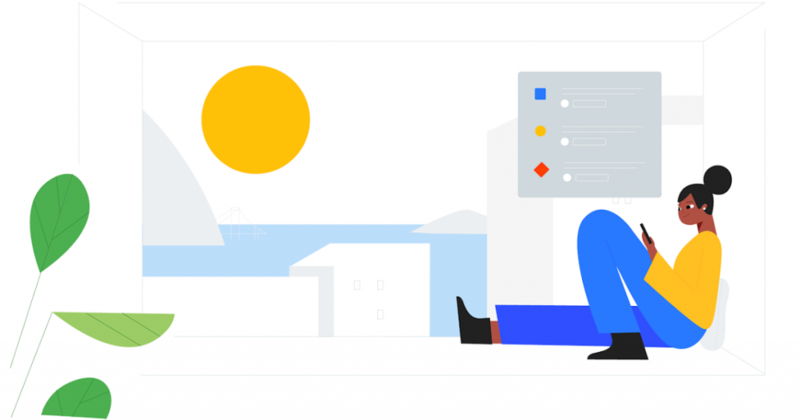 In the following paragraphs, we will dive into the process of extracting customer feedback from Google SERPs with our Reviews API. Let’s take the example of the “Hedonism Vines” query. As you might have noticed, it features a block of reviews for Hedonism Wines. However, Google displays only three of them, so you need to click on the “View all Google reviews” inscription to get to the rest. All feedbacks in that dialogue come in blocks of ten, meaning that after each ten reviews Google loads another ten and so on – until all reviews are displayed. Just like any other DataForSEO API, Reviews API allows getting data for any location and language. However, for now, the applicable search engines are limited to Google only. You’ll have to use a brand name of an establishment you want to extract the reviews for as an input for the keyword field. 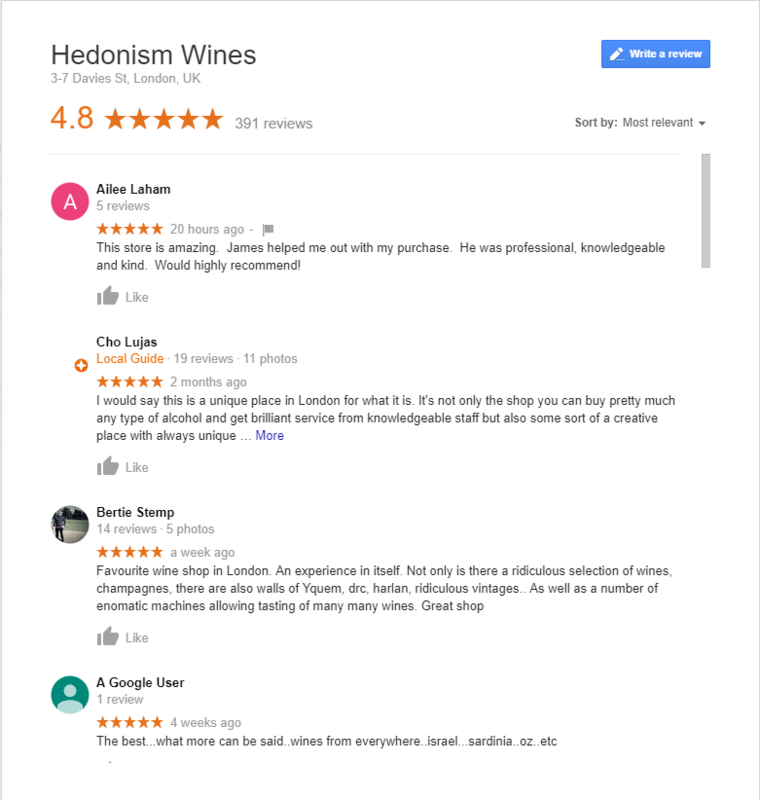 Since Google provides ten reviews in each scrolling load element of the reviews window, Reviews API counts every ten reviews as a “search level.” For example, Hedonism Vines returns 389 reviews in total. Therefore, in this case there are 38 search levels. The billing amount depends on the number of search levels you specify. However, if you set a search level that doesn’t reflect the actual number of reviews (e.g., there’re fewer reviews on Google than you specified in the API request), all extra credits will be refunded to you immediately. We recommend checking our extensive documentation beforehand. The API response provides the list of reviews structured in JSON for the specified search depth. In our case, there are 378 reviews. You can also set a pingback URL to obtain a list of completed GET requests, or a postback URL to get a list of completed POST requests. From conducting thought out sentiment analysis to building a Local SEO tool – Reviews API can be utilized for a variety of different purposes. In this part, we’ll take a look at some of the most obvious use cases, while also providing you with a few useful resources. When it comes to customer feedback, having a set of reviews extracted from Google isn’t enough – you also need to understand what is being talked positively and negatively. At the same time, analyzing hundreds and thousands of customer reviews manually would be way too time-consuming. This is the reason why many organizations turn to sentiment automation (sometimes also called opinion mining). With our Reviews API, an appropriate natural language processing engine, and some coding you can build your own tool to analyze customer feedback. Customer reviews have always been a cornerstone of local search engine optimization. According to the study by Local SEO Guide, Google reviews are among the most important ranking factors for local pack. What’s more, reviews are often cited as a “link alternative” for local establishments. Given the significant importance of reviews, it’s not surprising that plenty of SEO software solutions have already incorporated features that are necessary for displaying and analyzing customer feedback. On the other hand, though, getting Google reviews in large volumes poses particular challenges. First of all, although Google allows collecting customer feedback through its Google My Business API, it requires connecting the GMB (Goole My Business) profile, so there’s no way you can use it for competitor analysis. Alternatively, it’s possible to get reviews through the Google Places API, but it gives a maximum of five reviews only. You can also try scraping and parsing Google SERPs on your own capacities, but this task can turn out to be pretty challenging and time-consuming. So, if you want to collect Google Reviews for any business the optimal solution would be turning to the Reviews API from DataForSEO – it has everything you’ll need to incorporate the reviews monitoring feature into your local SEO software. Reputation Management refers to the process of building a positive image of brands online. This often requires collecting and analyzing vast amounts of customer feedback. While its possible to do that manually, diving into search results, social media posts and forums, automating the process can save you a lot of time and money. With Reviews API reputation management agencies can build custom in-house solutions for collecting and analyzing Google reviews, which, in turn, can help to optimize their budgets. When it comes to collecting customer reviews, it’s essential to automate the process. DataForSEO Reviews API will empower your business with accurate and up-to-date customer feedback collected from Google – the world’s most extensive and rapidly-growing review platform. What’s more, our friendly 24/7 customer support team is ready to assist you with API integration.